The MTV VMAs were a crazy mess of anything and everything last night and we have the fashion photos to prove it. Check out the stars on the red carpet – from Katy Perry to Jennifer Hudson and more! There seemed to be a lack of big celebrities at last night’s MTV Video Music Awards, but we’ve rounded up the best and worst of the red carpet looks for you! Take a peek and share in the comments who you think was the best dressed and who needs to hire a new stylist STAT. 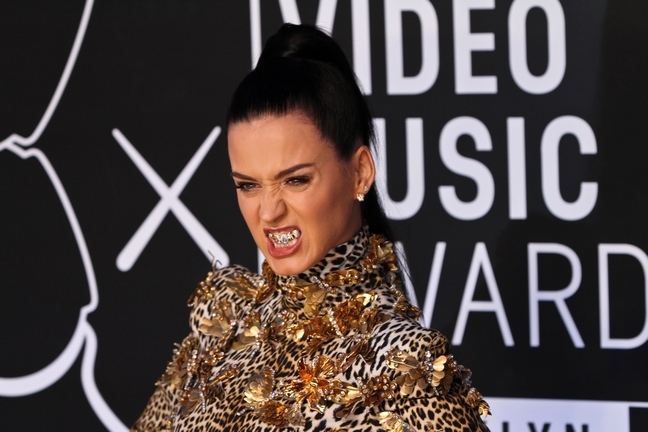 Katy Perry showing off her new “grill”. Miley Cyrus still has the internet abuzz today after her performance with Robin Thicke. Real Housewives of New Jersey’s Melissa and Joe Gorga. Melissa just released her latest single on iTunes last night.